Last night I referred to London as my home. This is the first time that this has happened since I’ve been here, and to you, it may not seem like a big deal, but to me this is monumental. 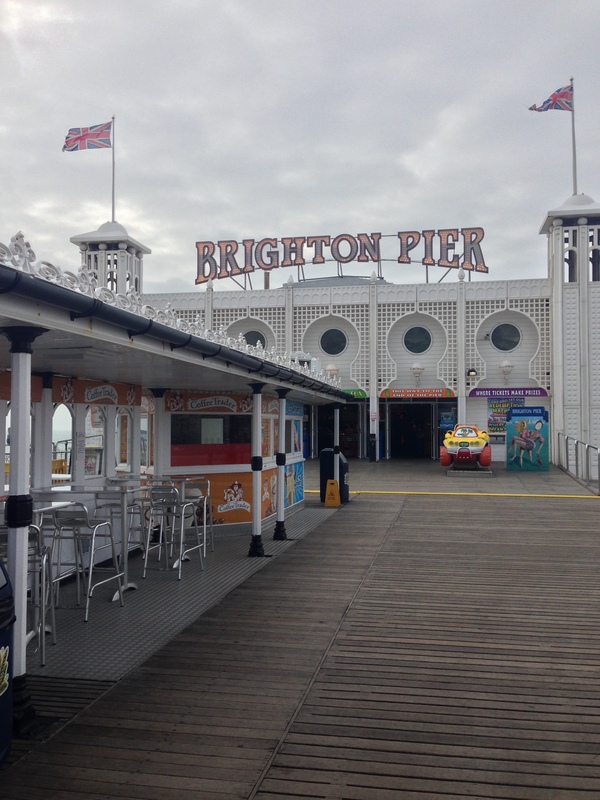 I went to Brighton with a friend yesterday, which is about two hours outside of London by the £5 MegaBus we took there. Brighton and Hove is a gorgeous town with a nice beach front and wonderful, wonderful hot chocolate that I spilled all down my front. It was a cool day, close to 60’s but not quite reaching. We got off our coach and walked straight to the pier to watch the waves crash on the pebbled beach. It’s been so long since I’ve seen “never ending” water. The horizon dipped and swayed along with the waves. The English Channel looked like it was freezing and I wouldn’t dare step my feet into its depths. Caitlin and I watched as people went for a run and dove into the icy water and stared dumbfounded as they actually seemed to enjoy their swim. Here we were, wrapped up in jackets, beanies, and scarves while these humans are in swimming trunks and bikinis jumping into the Channel. I feared they were crazy. 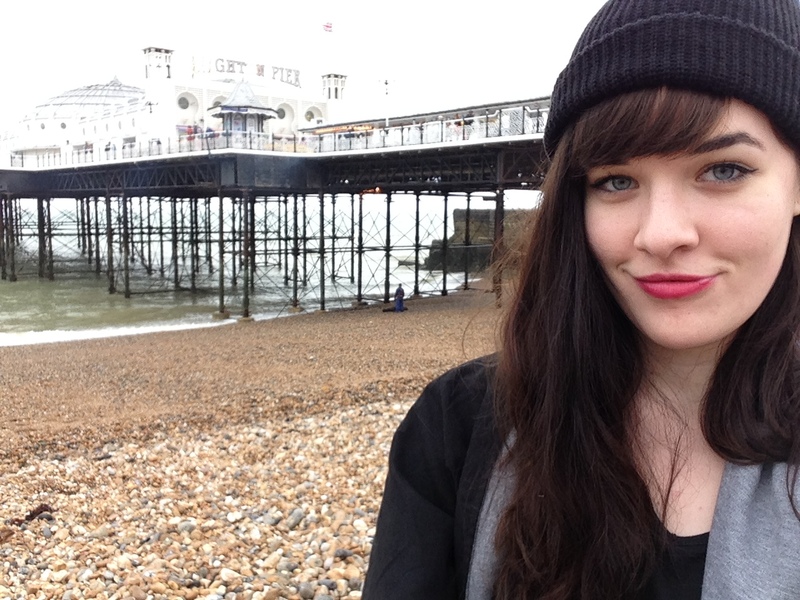 Cat and I left the pier and the beach to walk along other areas of Brighton. We walked to the Royal Pavilion, but instead of being welcomed inside for free, we had to pay 8 pounds, which unfortunately, we weren’t prepared for, and instead walked around the estate. Across the stretch of grass, stood the art museum of Brighton. In the cute little space was ancient Egyptian artifacts, kitchenware from the royal families, and art projects from local residents that were absolutely stunning. Brighton had a lot to offer on a Sunday. They had farmer’s markets, a Japanese festival, vintage festival, and lots of little bookshops for us to venture to. I stumbled across an old book that I had been meaning to read and bought for only 2 pounds. High Fidelity was finally mine. Being outside of busy London was refreshing. It was not as overpriced and touristy as London is. There were moments where we could walk the street and not see a soul which was strange but relaxing. As we walked along Trafalgar Street, we turned the corner and saw a stretch of wall with graffiti covering every inch of available wall space. At the edge of the wall though, there was a Banksy piece. The first one I’ve ever seen and here I was actually seeing a real Banksy with my own eyes. 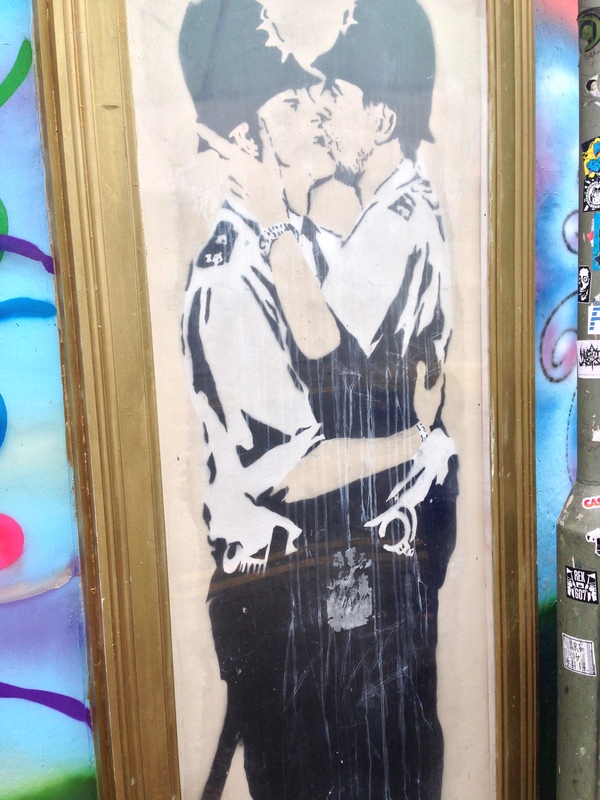 It was beautiful, yet framed so no one else could spray paint over it. Why they would try to paint over it is beyond me. By the end of the night, Cat and I were ready to go. We went back to the beach and bought another hot chocolate to warm us up and waited for our bus to come back. Brighton is a beautiful city, probably for a whole weekend I would love it, but I was ready to go back to London. I turned and looked at her when the bus pulled up and said, “let’s go home”. Not “let’s go back to the school,” but home. As we weaved in and out of the city on our journey back, I felt a pull because I honestly feel like I belong here and I don’t ever want to leave.